The excitement, and the list, grows! 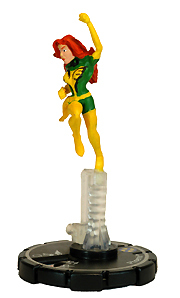 Thanks to some great sneak peeks from WizKids, www.wizkidsgames.com and someone who was at MegaCon with a camera www.hcrealms.com , I now can reveal a lot more figures in the upcoming HeroClix: Xplosion expansion, available March 25th at your favorite Edge location! 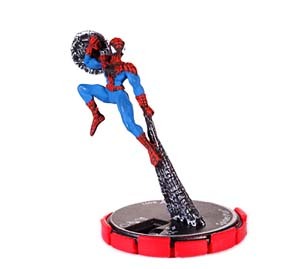 We already knew about the Savage Hulk, coming in at 201 points, but how about a Spidey that has super strength? it's about time! You will also be able to get Iron Man, who looks to be a real Swiss Army knife of abilities, with everything from Super strength to regeneration. 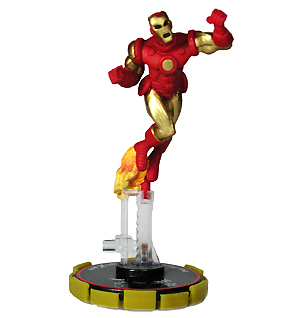 And what would Iron Man be without the Mandarin, who will have a shot range of 12! That is NOT a typo, he will be able to shoot from 12 squares away. Evil. Crimson Dynamo is in there too, and he looks like he'll be able to give Ol' Shellhead a run for his money in the powers department, too. 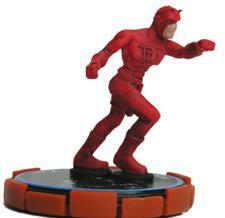 Toss in a new Daredevil, this time with leap/Climb, and an absolute beast of an Elektra (163 points), with Mind Control of 2 targets, to build off the hype of the recently released movie. For you X fans, you'll find a Storm, Psylocke, Iceman, Phoenix, Colossus, Beast, Gambit, Wolverine as Weapon X, and Shadowcat. Building an ultimate X-man team just got a lot more interesting, didn't it? 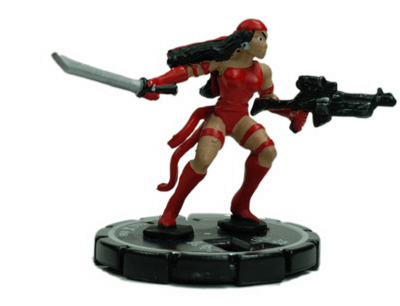 Some others in this set will be Typhoid Mary, Scorpion, Madame Masque, Mystique, The Abomination, Deathbird, Apocalypse, The Leader, and a host of Con Artists and Hand Ninjas' to round out your teams. And that isn't even all the figures. There will be a few more surprises to come, so stay tuned. So keep marking the days off the calendar, and keep saving those pennies up, because the 25th is coming soon, and there will be an Xplosion at the Edge stores. be there for it! As always, comments, critiques, or questions are encouraged and can be sent to me at eMail HeroKlass. If you would like to learn how to play this game, please email me and we will set something up at a local Edge location for one on one or another Demo. hear that Bossman? I am also still waiting for my first challenger....Rog-man...are YOU man enough?